Whose cute, snuggly, and happy as can be? It’s me, Bailee! 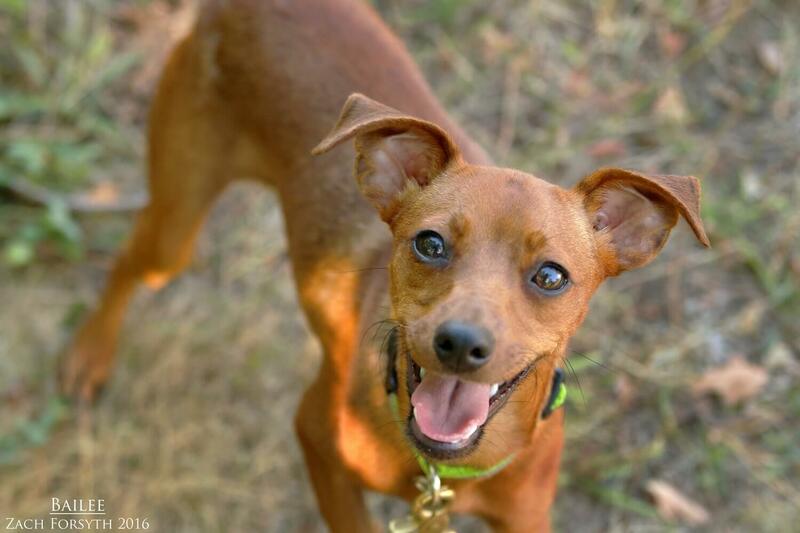 I am a 1 year old min pin mix who may be small, but I have a giant heart! I am just so joyful and excited to meet new people and go for a stroll in the neighborhood. In fact, I get so excited that I need to say hi to everyone I see. PUPPY CLASSES ARE MANDATORY FOR MY ADOPTION! I am always smiling as I come across new friends either humans over the age of 8 or those four legged dogs and cats! Always playful and always charismatic, I can change any dull, boring day into one filled with sunshine and happiness! Fill out an application today, so you can set up a meet to see me and I will turn that frown upside down! I come to you spayed, vaccinated, and micro-chipped with an adoption fee of $300.